What did you feel as a result of his assassination – either right then and there and/or the days and weeks following? My teacher, Sister Mary Fahan told us kids to put our heads down on our desk and pray. It seemed so startling to me – it was a heavy moment for which us fifth graders didn’t have 100% understanding, but the young boys and girls in my classroom felt the heaviness of the moment anyway. Many of us were crying at the words coming forth over the speakers in our classroom – urgent and shocking words that stuttered from the radio announcer’s mouth. School was dismissed and when my sister, Mary, and I were picked up by our mom, we climbed into her red and white 1957 Chevy Bel Air Nomad station wagon and joined our tears and fears with those of our mother’s. Then for the remainder of November and into early December, it seemed as though the only story being covered on our little black and white (somewhat brown and white) television screen were the news updates and somber funereal activities inherent with the death of a President. I recall that after I recovered from the initial shock of the incident, the impatience of a nine-year old took over due to the bombardment of constant television coverage that echoed around the walls of our house. I yearned for normalcy, and for me that meant a return to TV episodes of Lassie reruns and new episodes of My Three Sons. Perhaps what we experienced during that 1963 tragedy is not unlike what the children of the 9/11 era felt when their lives were invaded by the tragedy that marks their young lives. Unfortunately, there seem to be enough horrific world events going on that each and every generation’s children will have memories about which they will reflect as they enter their older years; just as us Baby Boomers reflect on November 22, 1963 and all the other tragedies that have invaded our lives since then. 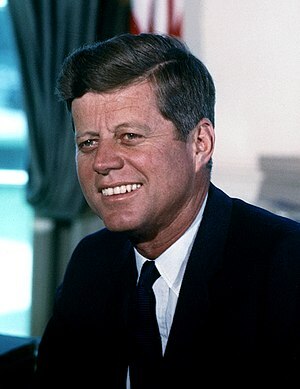 This entry was posted in 21st Century Living, Community outreach, Family issues, Personal Struggles, Politics and tagged 11/12/1963, 11/22/63, 1963, 22 November 1963, Assassination of John F. Kennedy, Baby boomer, Dallas, JFK, John F. Kennedy, November 12, President of the United States, Texas, United States.